Sailing holidays with us around Greece are unique, inspirational and definitely the answer for those looking for something totally different from a standard package holiday. We will provide the experience of a lifetime. We offer incredible, breath-taking sailing adventure holidays around the Greek Islands, sailing out of our base in Lavrion, just 40 minutes from Athens airport, taking in stunning locations and cultural experiences. If your sense of adventure makes you want to take the holiday one knot further, we can offer the combined experience of a sailing holiday and scuba diving experience. We can even cater for those who want to retain a bit of fitness while away by organising cycle rides around some stunning locations. Sailing holidays with Atlas Sailing are unique and unforgettable. 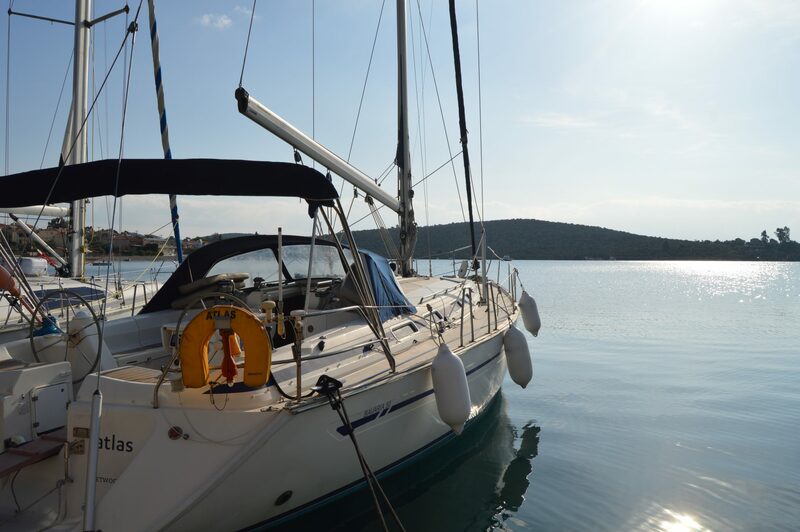 You will sail around the Greek Islands with your own skipper and host, allowing you to sit back, relax and listen to the sound of the bow cutting through the water. If you like, you can pick up sailing tips along the way under the guidance of the skipper, a Commercially Endorsed Ocean Yachtmaster. If you want to see the real Greece, we’re the right choice for you. Starting from our base in Lavrion, we stop off at stunningly beautiful places thankfully neglected by mass tourism – pure bliss! 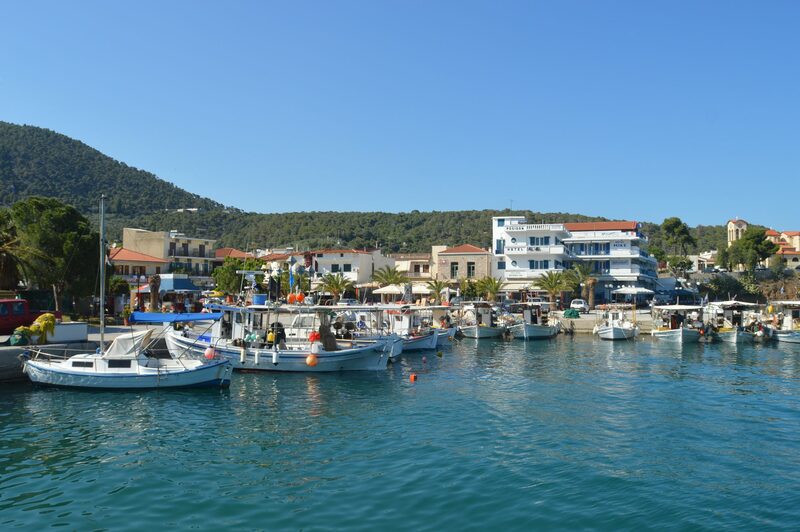 We can, however, also feed the curious mind and visit famous locations such as Mykonos (Shirley Valentine), and Skopelos (Mamma Mia). Anyway, our opinion of Mykonos and Skopelos is that because of the films they get hammered with tourists hence the reason we don’t visit there too often. We prefer The Saronic Gulf and we know which are the best days to visit certain places in order to avoid the masses. Breakfast, lunch, snacks and drinks are included in the cost of your holiday. In the evening you have the option of exploring in search of local cuisine in town quay bars and tavernas, or simply relaxing on the yacht. We offer group discounts, and have so much more to tell you about how we can provide the holiday of a lifetime so please do get in touch for more information. Atlas Sailing is a family business, skippered by Andy Dobson who is a commercially endorsed RYA/MCA Ocean Yachtmaster, and hosted by Andy’s wife, Julie Dobson who is also a qualified sailor. With so much sailing experience on board guests can rest assured that they are always in safe hands. Our Adventure Sailing Holidays are bespoke for every group and can offer much more than sailing and are an ideal way to spend quality time with a group of friends. You could even learn to sail a yacht. WE TAKE YOU TO WHERE THE TOURISTS DON’T GO! Either way we have what you are looking for and what’s more is that we have the best cruising grounds in the world……. and sunshine. If you have reached the point where you are looking for a totally unique holiday then this is your answer. This is a fantastic way for a group of friends to experience the magic and escapism that our cruises give. Because you will visit islands and places far from the masses of package tourists. 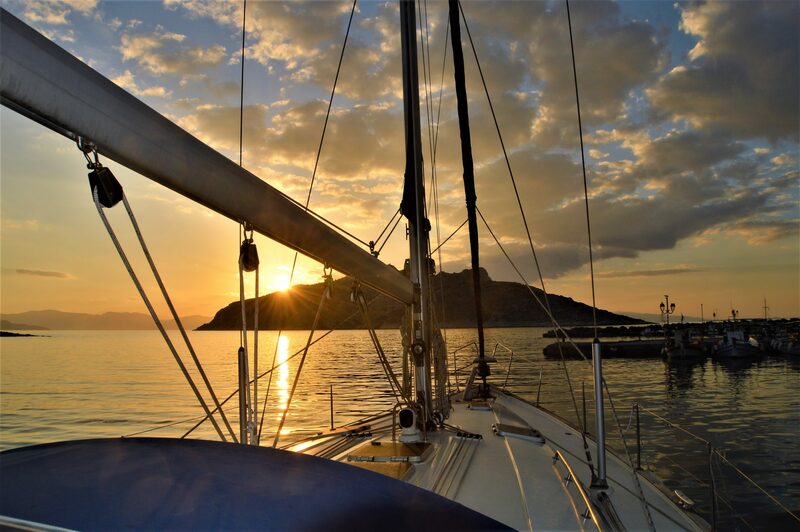 Imagine spending a night at anchor in the Bay of Sounion whilst being watched over by the majestic Temple of Poseidon? Or visiting the island of Hydra where time has stood still and you won’t see a car…because they aren’t allowed on the island. Not forgetting the sunshine and scenery, you are after all, sailing around some of the best cruising grounds in the world. We can even arrange scuba diving or cycle tours. All within easy access as we are only a short transfer from Athens airport.